Do you know the name? Its a marvellous colour. Lovely photo! 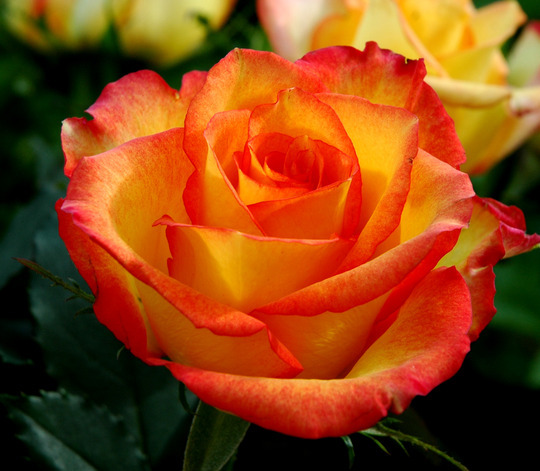 It is a beautiful rose. It looks a bit like Desert Spice, a bright orange rose. Perhaps your neighbour knows the name? Excellent close-up ! It is a lovely rose, I like the two tone colored affect. Outstanding photography! Gorgeous rose too.